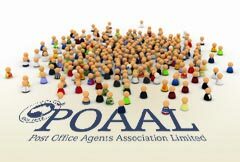 POAAL members will be able to contact the POAAL National Office during the Christmas/New Year period. The National Office will be closed on public holidays and weekends, but otherwise the phone lines will be open as per usual. You can contact the POAAL National Office by phone on 03 96544533. Insurance brokers Network Insurance Group can be contacted online via their website during the holidays. Alternatively, contact them on 1300 881 229 (03 8420 8700 from mobile phones).